The purpose of Lent is to be a season of fasting, self-denial, Christian growth, penitence, conversion, and simplicity. The word Lent means “springtime.” This season can be viewed from the perspective of Stewardship: it is spiritual spring cleaning—a time for taking spiritual inventory and then cleaning out those things which hinder our relationships with Jesus Christ and our service to Him. The season of Lent begins with a symbol of repentance: receiving ashes on one's forehead. To reflect this, our interior life should lead us toward greater dependence on God’s mercy and grace and less attachment to those things which distract us from living as stewards of God’s gifts. There are three traditional spiritual practices that serve as the foundation of Lenten penance: prayer, fasting, and alms giving. These penances should be practiced throughout the year, but are given special prominence during Lent. Prayer: Lent is a good time to develop or strengthen a discipline of daily prayer. Praying the Rosary throughout Lent can be very rewarding, especially if your family is not in the regular habit of doing so. 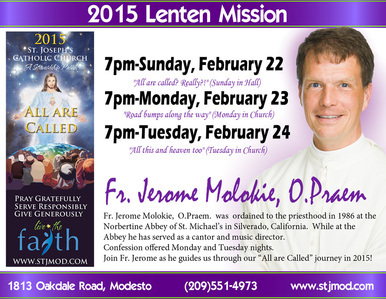 Daily Mass and the Stations of the Cross are also great ways to draw closer to God during Lent. It is not too late to sign up for ARISE, our parish Lenten bible study and faith sharing. Fasting: Ash Wednesday and Good Friday are obligatory days of universal fast and abstinence. Fasting is obligatory for all who have completed their 18th year and have not yet reached their 60th year. Fasting allows a person to eat one full meal. Two smaller meals may be taken, not to equal one full meal. Abstinence (from meat) is obligatory for all who have reached their 14th year. Further, all Fridays in Lent are obligatory days of complete abstinence (from meat) for all who have completed their 14th year. 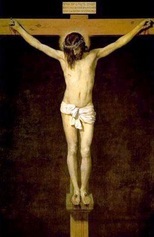 If possible, the fast on Good Friday is continued until the Easter Vigil (on Holy Saturday night) as the "paschal fast" to honor the suffering and death of our Lord, and to prepare ourselves to share more fully and to celebrate more readily His Resurrection. Almsgiving (Charity): While Lent is about giving something up (i.e. fasting), it is also about putting something positive in its place. The best way to remove vice is to cultivate virtue. Lent has been a traditional time of helping the poor and doing acts of charity and mercy. While as Christians this is a year-round calling, Lent is a good time to examine ways to get involved and to make resolutions to actually do them. Through our works of prayer, fasting, and abstinence, let us heed the prophet Joel's exhortation to return to God with our whole heart (2:12). "Believing in charity calls forth charity"
The celebration of Lent, in the context of the Year of Faith, offers us a valuable opportunity to meditate on the relationship between faith and charity: between believing in God – the God of Jesus Christ – and love, which is the fruit of the Holy Spirit and which guides us on the path of devotion to God and others. In my first Encyclical, I offered some thoughts on the close relationship between the theological virtues of faith and charity. Setting out from Saint John’s fundamental assertion: “We have come to know and to believe in the love God has for us” (1 Jn 4:16), I observed that “being Christian is not the result of an ethical choice or a lofty idea, but the encounter with an event, a person, which gives life a new horizon and a decisive direction … Since God has first loved us (cf. 1 Jn 4:10), love is now no longer a mere ‘command’; it is the response to the gift of love with which God draws near to us” (Deus Caritas Est, 1). Faith is this personal adherence – which involves all our faculties – to the revelation of God’s gratuitous and “passionate” love for us, fully revealed in Jesus Christ. The encounter with God who is Love engages not only the heart but also the intellect: “Acknowledgement of the living God is one path towards love, and the ‘yes’ of our will to his will unites our intellect, will and sentiments in the all-embracing act of love. But this process is always open-ended; love is never ‘finished’ and complete” (ibid., 17). Hence, for all Christians, and especially for “charity workers”, there is a need for faith, for “that encounter with God in Christ which awakens their love and opens their spirits to others. As a result, love of neighbour will no longer be for them a commandment imposed, so to speak, from without, but a consequence deriving from their faith, a faith which becomes active through love” (ibid., 31a). Christians are people who have been conquered by Christ’s love and accordingly, under the influence of that love – “Caritas Christi urget nos” (2 Cor 5:14) – they are profoundly open to loving their neighbour in concrete ways (cf. ibid., 33). This attitude arises primarily from the consciousness of being loved, forgiven, and even served by the Lord, who bends down to wash the feet of the Apostles and offers himself on the Cross to draw humanity into God’s love. Most of us are unaware that times of penance, fasting, and prayer for forgiveness are part of the traditions of many of the world's great religions. Most Christians are aware that our Jewish neighbors observe Yom Kippur, or the Day of Atonement, as a time of fasting, penance, and asking for God's mercy and forgiveness. As many Muslims make their homes among us, we now are becoming familiar with Ramadan, a whole month of complete penitential fasting, even from water, from sunrise to sunset. The early Christians were familiar with a similar period observed by the Roman pagans in February, a name that means the month of whips, so called for the scourges they used for self-discipline and penance. In fact that is why the ancient Romans made this cold, dark month the shortest of the year. 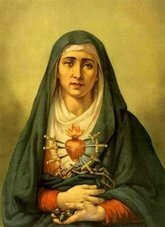 In early Christian times the custom of fasting and penance was adopted by the Church in East and West to prepare for the solemn commemoration of the Passion, Death, and Resurrection of Christ, which were celebrated during the Sacred Triduum, or the three holy days at the end of Holy Week. The oldest Catholic custom outside the prescriptions of the New Testament--the making of the sign of the Cross--was linked with the traditional biblical sign of penance, the imposition of ashes on one's head. 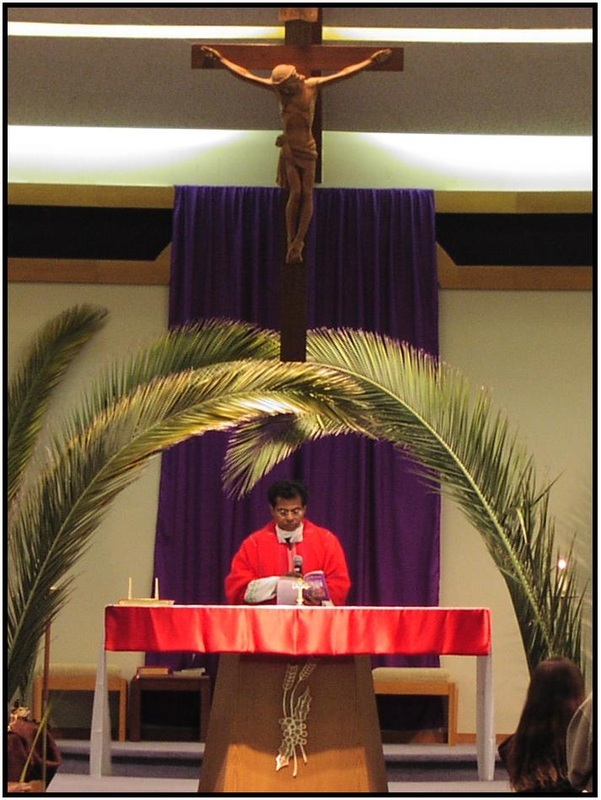 The ceremonies of Holy Week, beginning with Palm Sunday--the commemoration of Christ's triumphant entry into Jerusalem--brought the time of Lenten Penance to a dramatic close with the observance of the Easter Vigil. The origin of all these customs, paralleling the Jewish observance of Passover, was a powerful need both to acknowledge gratefully Christ's gift of Himself for our salvation and to instruct people on the meaning of the events in salvation history. Unfortunately, the observance of Lent has become modified to such an extent that many do not really observe its penitential spirit. They are consequently deprived of experiencing the profound spiritual renewal of the Sacred Triduum and the re-commitment to their baptismal promises made to Christ at Easter. This is taken from Father Benedict Groeschel's book The King, Crucified and Risen: Meditations on the Passion and Glory of Christ, Servant Publications. Father Benedict Groeshel, CFR is an internationally know lecturer and retreat master as well as a professor of pastoral psychology at St. Joseph's Seminary in New York. He also appears regularly on EWTN.